The book ” The Secret “ is both a follow up and a companion piece to the movie of the same name, and just as deeply influential and inspiring. Like the movie, ” The Secret “ is all about how to manifest everything you want in your life, from a new car to world peace, from a romantic interest to unlimited wealth, it’s all in here. Maybe you’ve caught the buzz already, this is the book and movie that everybody’s been talking about! It’s been featured on Oprah, inspired chat-rooms, and motivated businesses and new club meetings around the world! Author Rhonda Byrne has written in more depth about the historical personages that were influenced by this knowledge of how to manifest, how it works in your life, and about the hundreds of letters she has received since the movie came out, inspiring stories of how people have created miraculous cures, money, a new job and more. The book stands on its own merits though, even if you’ve seen the movie, you need to read the book. If you’re like me, you wanted to write down practically everything that was said in the movie anyway, so now it’s been done for you! All of the commentary, examples, and illustrative stories from the movie, from the likes of Jack Canfield, Neal Donald Walsch, Fred Alan Wolf, Michael Bernard Beckwith and others, are in here. And that’s a good thing, because this is knowledge that invites savoring and re-reading, and will reward you with fresh motivation. If you haven’t seen the movie, then you can make up for it with this book. ” The Secret “ will give you everything you need to attract the things you deeply desire in your life. Money, relationships, health, politics, how the universe works, it’s all spelled out. We’ve all heard that, like attracts like, and that thoughts have energy, or that negative people tend to attract negative events, but how many of us really believe it or act on that knowledge? Reading ” The Secret “ will not only make a believer out of you, but will give you powerful tools to incorporate this knowledge into your life. 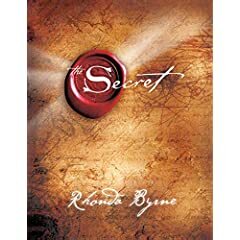 I can’t emphasize enough how powerful and inspiring this book and this concept is, but Rhonda Byrnes comes close when she says, “As you travel through its pages and you learn The Secret, you will come to know how you can have, be, or do anything that you want. You will come to know who you really are.” The only thing I can add is that you will want to buy copies for everybody you love! Rhonda Byrne Rhonda began her television career under one of Australia's best, Peter Faiman, with her creative skills and enormously high standards a true reflection of this close association. A senior Segment Producer on the "Don Lane Show" - Logie Awards and other live variety productions Rhonda also developed the concept for and was Senior Producer of the successful "What's Cooking" and Melbourne Producer of Nine's "Midday Show".